Citiled by SACO specializes in the design, engineering, supply, and installation of LED Lighting and Video systems, also known as “Media Lighting” and “Media Facade”. LED Light has become a new architectural material and allows infinite creative possibilities for building facades. 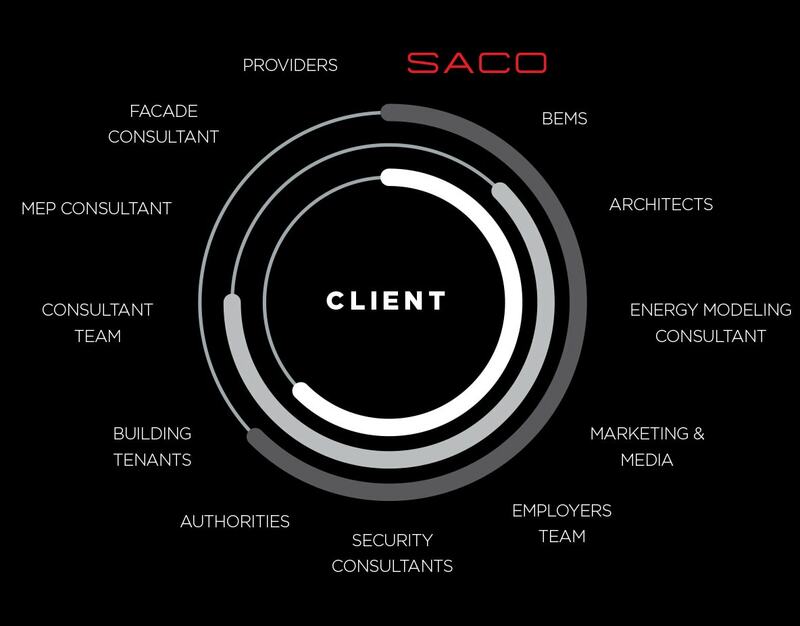 Citiled by SACO studies each project with a unique approach and creates custom-made systems that allow greater integration into the architecture facade. Light and Video are also coherently controlled as a whole dynamic media installation with an intelligent software that enables them to adapt to each other so that the result has maximum impact on the public. Citiled by SACO recently announced the official launching of the latest patented technological innovation during Cityscape Saudi Arabia: the Digital MediaFacade 2.0. The DMF 2.0 is a patented technology that allows absolute architectural integration of video systems into the Facade of a building. By integrating LED circuits within the double-glazing of the windows and integrating all cables and connections within the mullions, the entire installation can be easily installed and controlled from one unique Control Room. This innovation is environmentally friendly. Conceived and created as a plug-and-play solution for real estate developers, advertisers, engineers, and architects; the Digital MediaFacade 2.0 is environmentally friendly, long lasting, safe, easy-to-manage, and enhances the visibility of the property. With high performance features such as high color accuracy, dimmable brightness, and a large variety of possible content formats, the Digital MediaFacade 2.0 can broadcast TV signals, as well as, accurate color branding. Citiled by SACO’s concept design with expert approach and study, combined with the uniqueness of DMF technology, can help create a stream of revenues previously unavailable for iconic architectural properties. Incorporating a Digital MediaFacade into the design of an architectural project, makes a bold design statement whilst remaining environmentally responsible.